We are all meant to be well. With our wellness-focused menu, we can help you make healthy choices for your body. Our cold-pressed juices, bowls, smoothies, shots, and treats are the perfect fuel to get your body performing the way it was designed. We believe cold-pressed is the only way to serve juice with integrity. In the gentle pressing, you receive both the micro and macro nutrients, as well as the fiber, which is lost in centrifugal processing. Our menu is specially formulated based on the research of naturopathic physician Dr. Peter J. D’Adamo, which states that we each need specific foods and nutrients for our blood types. About 95% of everything on our menu is organic and non-gmo. We value maintaining the highest quality of ingredients, and we source locally as often as we are able. Our goal is to be highly functioning in all areas of our lives, and that starts with our brain. That’s why we incorporate MCT oil, adaptogen mushrooms, and other brain-friendly items. We consider ourselves a wellness bar, as well as a juicery. We are a one-stop shop for all of your nutritional needs. 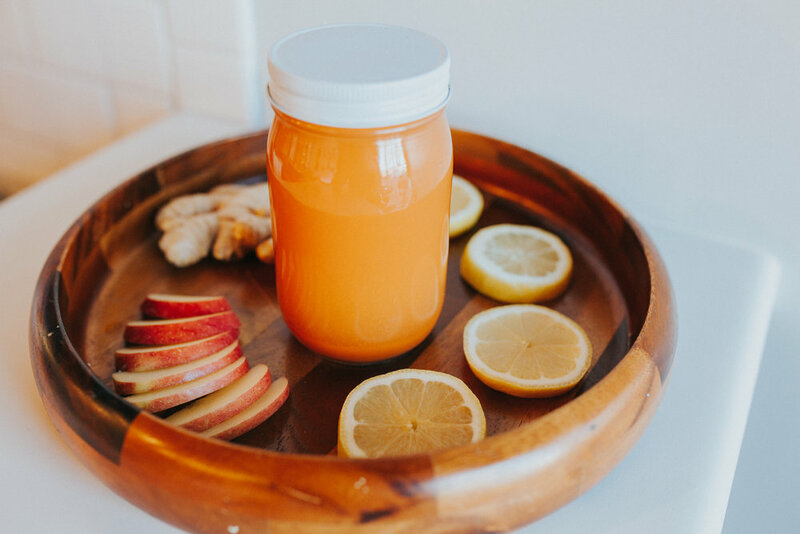 Besides all of our delicious bowls, smoothies, and cold-pressed juices, we pride ourselves on having cutting edge health products and tinctures to incorporate into virtually anything on the menu to benefit your body in amazing ways. We love our city of Redding, and it is our passion to provide the people of Shasta County and beyond with affordable, healthy food to nourish their bodies.